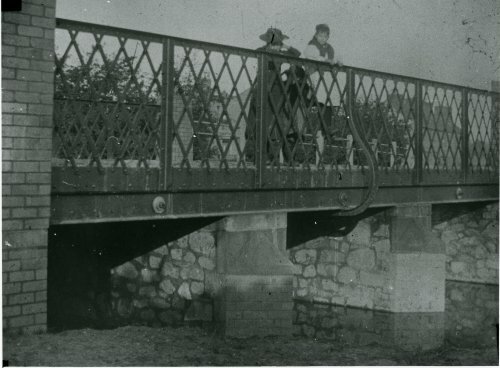 The original bridge was demolished in 1897 when it became dangerous. It was rebuilt to commemorate Queen Victoria's Diamond Jubilee. The brook had to be diverted while foundations were made. The bridge was never named Victoria Bridge as intended. Whilst the stone supports and brick columns are still present today, the railings have been replaced.